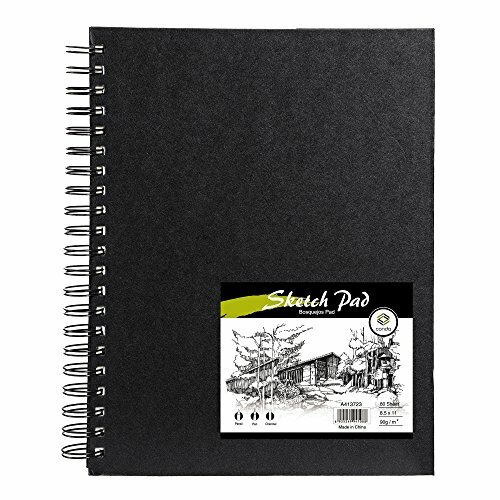 *Package: 1 pack of 60 sheets sketch pads. *Weight of sketch book is 630g, size is 9"*12"
*60 Sheets (120 Pages) of blank bright white paper,unbleched paper. 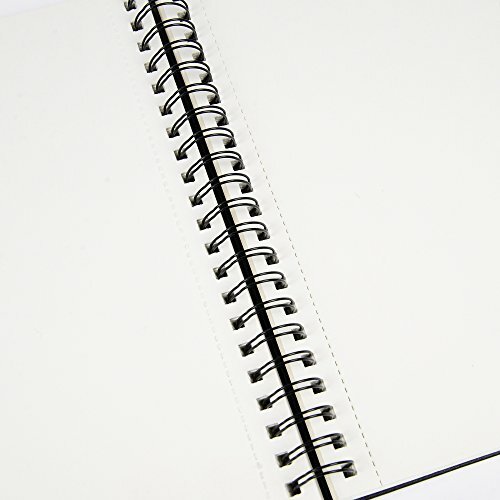 * CONDA sketchbooks feature a double wire bound hardcover that can be used as a drawing surface outdoors or on the go.Sketchbook is spiral bound so it can be opened to lie flat whilst you work. 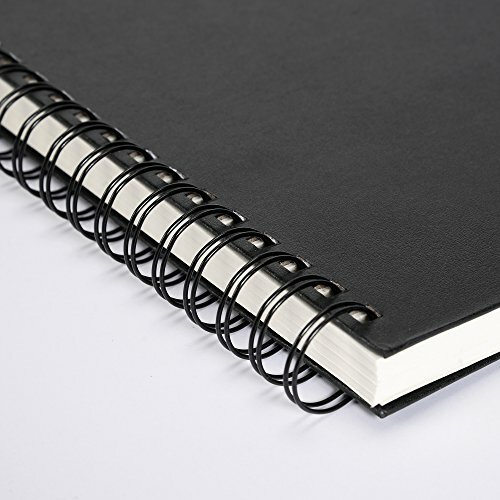 BLACK cover Wire binding Sketchbook contains superior quality white writing/drawing paper. No more worrying about the flimsy covers of other sketch pads, this durable book is sturdy enough to handle the wear and tear of your busy life.The CONDA Sketch Book, Universal, lets you bring your inspiration to the world. This paper accepts a wide variety of media, such as ink, pencil, pastels, crayon, charcoal and more. Since it's acid-free, your artwork will stay preserved for a long time, so you can look back later and see how your talents have grown. *We have our own factory,each item in our store will be tested strictly. * Conda brand since 1993 the series is giftedness& professional products. Bring you joy through painting is our highest honor. SPIRAL BOUND DRAWING PAD:The spiral provides better access easily flip the pages over to the backs? 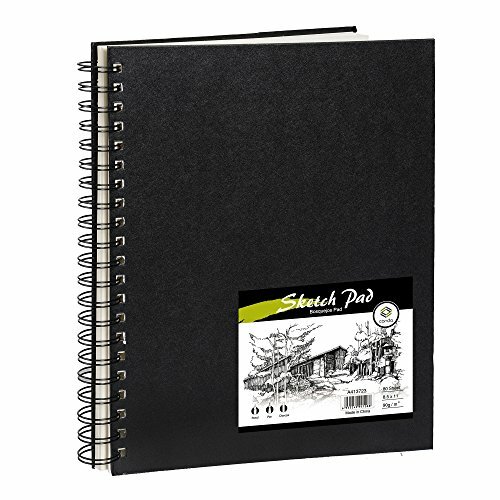 allow you to open your sketch book flat and sketch without removing pages and it will keep these papers nice and secure at all times. HARDBOUND SKETCH PAD?100% handmade hard cover and the paper is perfect for all artistic drawings and sketches. It is hard bound textured, black, slick-smooth, and waterproof cover. It defiantly helps protect your artwork. The pages are not thin, they are pretty sturdy and can withstand hard pressure and repeated erases. This would make a great gift ever for all of the artists in your life,one they can treasure forever. 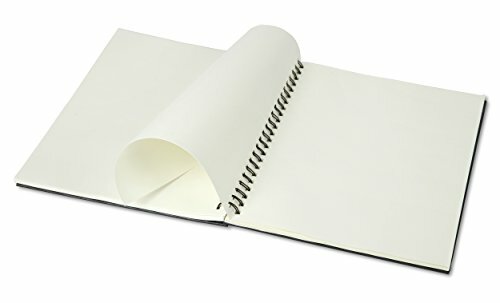 High QUALITY PAPER:60 sheets each pad of 90gsm 60lb fine textured bright paper.No need to worry about repeated erasures or normal hard pressure.Acid free, and unblenched paper. Ideal for all dry media including pencil, pen, pastels, charcoal, sketching sticks and so on. PREFECT KEEPSAKE:If you takes the time to fill this book up with nice drawings this will make a really nice keepsake and something you will be able to hold on to for decades. QUALITY ASSURANCE: No risk - unconditional ONE YEAR guarantee - if you are not happy with this product simply return it inside 365 days for a full refund - no questions asked.